Training – T&T Staff Management, Inc.
On January 9, 2004, the Occupational Safety and Health Administration’s (OSHA) Office and T&T Staff Management (T&T) established an Alliance to foster safer and more healthful workplaces. 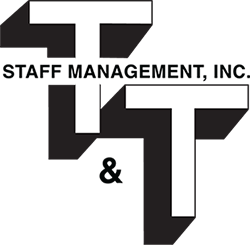 T&T is the largest staff leasing company in El Paso, Texas, representing 300 companies with over 6,000 employees. Through the alliance, OSHA and T&T are providing the management, employees and clients of T&T with information, guidance and access to training resources to protect the health and safety of T&T employees. They are focusing on reducing and preventing exposure to construction hazards such as falls from different elevations, struck-by and caught-in between objects, and electrocution hazards.